Tough and durable, Evans molded nylon plastic racer shape is ideal for automotive promotions, race events and car part dealers. Options: Wrist coils include small split-ring. Large 1 1/2" split-ring, add $.05 each. Note: Stock outline as shown is included at no additional charge. Dimensions: 1/2" H x 2 1/2" W x 11/16" D Imprint Area: Primary imprint on car hood: 1/4" H x 1" W Secondary imprint on windshield: 3/16" H x 3/4" W. Packaging: Bulk. For individual poly-bagging, add $.08 each. Shipping Info: Box Dimensions: 16" L x 12" W x 12" H Shipping Weight: 2.03 lbs / 100 pcs 2000 pcs / box. Cool signs for hot times! Protect car interiors while promoting your message.Folding and banding available. Material : White corrugated cardboard. Size : 52 1/2" x 21 1/2" Imprint Size : 41 1/2" x 14 3/4" For quantities over 2500 please call for pricing. Additional Color: (100)$4.65,(250)$2.22, (500)$1.28, (750)$0.93, (1,000)$0.75, (1,500)$0.58 Folding and Banding - $0.38 ea. Furnished 40 per box. Folded size 5 1/4" x 21 1/2". Packaging : Bulk. 50 flat per box. Shipping Weight : Approximate per 100: 80 lbs. Includes Suction Cups or Hook-n-Loop for Mounting Push Button Retraction Stops and Stays Where You Put It! Max Imprint Size: 8.00" x 8.00"
Light, reflective material. Held in place with automobile sunvisor. Pops open and folds easily into carry pouch that measures 9-1/2" x 10". 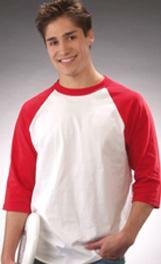 Price Includes: Two identical one color silk screened imprints on one side. Optional reverse side imprint run charge: $.75. Please Note: Will ship from factory flat, not inside carry pouch. Available in blue/silver and silver. Imprint Area: 16" diameter. Shipping Weight: 19 Shipping Quantity: 50. Sun shade for cars and trucks Made of light, reflective material to keep automobile cool One piece construction in a peanut shape Easy to open and install Pops open and folds down easily Includes one color imprint on reflective side Convenient carrying case. 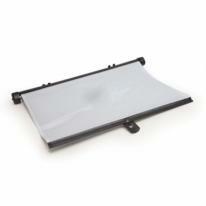 Actual Size: 23-1/2" H x 52-1/2" W Imprint Area: 15" H x 15" W Center (standard). Optional bag: 7-1/2" Dia. Packaging: Bulk. Folded and bagged Shipping Weight: Approx. 19 lbs. per 50. Due to volume, dimensional weight of 38 lbs. per 50 will be billed. Sun shade for cars and trucks Made of light, reflective material to keep automobile cool One piece construction Easy to open and install Pops open and folds down easily Two panel design. 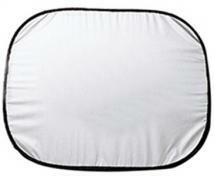 Actual Size: 27" H x 56" L Imprint Area: 16" Dia. on two silver panels (recommend black imprint) Packaging: Bulk Shipping Weight: Approx. 19 lbs. per 50. Due to volume, dimensional weight of 38 lbs. per 50 will be billed. The Sun Collection, 2 UV resistant Grey nylon panels with nylon pouch. IMPRINT AREA: 15" x 11" Size: 28"w x 24''d WT/PC: 25 lbs./50 units (master carton) PACKAGING: Silver nylon pouch. The Sun Collection, 2 jumbo UV resistant Grey nylon panels with nylon pouch. 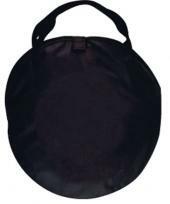 IMPRINT AREA: 15� x 11 1/2� Size : 28"w x 32"h WT/PC: 25 lbs./50 units (master carton) PACKAGING: Blue nylon pouch. 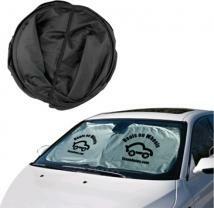 When the weather gets warm, you can keep your car cool with this collapsible Car Sun Shade! 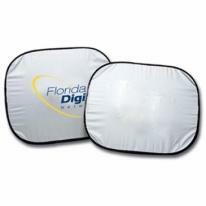 Beat the heat on sunny days|Great for car dealerships and summer events. Materials: Poly taffeta 190T with silver coating. Size: 59"w x 27-1/2"h x 1/8"d Imprint Area: Right Side (Standard): 16"w x 12"h, 1 color(s) max. Packaging: Item ships flat and unbundled Pack Of: 50 Weight: 19 lbs.